The Lesser Spotted Woodpecker bears its name by right. It really is a miniature-woodpecker, about as big as a Treecreeper, and is characterized by its bright red crown. The female has a black head. 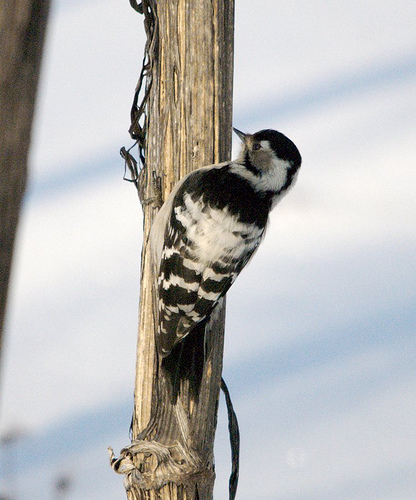 The Lesser Spotted Woodpecker is much smaller and has white stripes on the wings. The Middle Spotted Woodpecker has a large white patch on the wings. 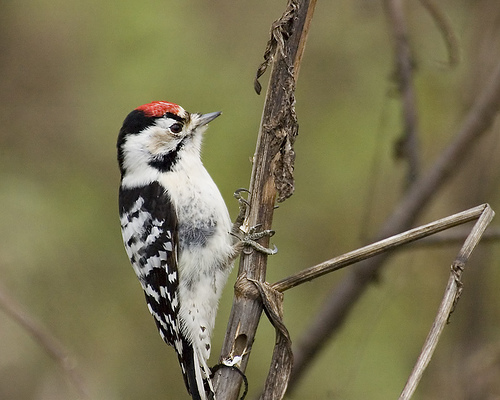 The Lesser Spotted Woodpecker has a bright red crown and is much smaller than the Great Spotted Woodpecker.